Flo-Pro Plumbing and Heating - Central Heating Engineer, Plumber based in Brighton, East Sussex. 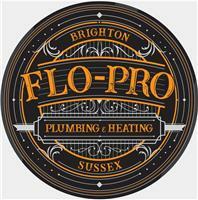 Flo-Pro Plumbing and heating is based in Brighton, East Sussex covering all the Sussex area. We pride ourselves on being clean and prompt and very well organised. We take on a wide selection of plumbing and heating work and we aim to always get the problem solved. BOILER FINANCE NOW AVAILABLE CONTACT US NOW FOR A FREE QUOTE. Call for a free, no obligation quote or even for some friendly free advice.